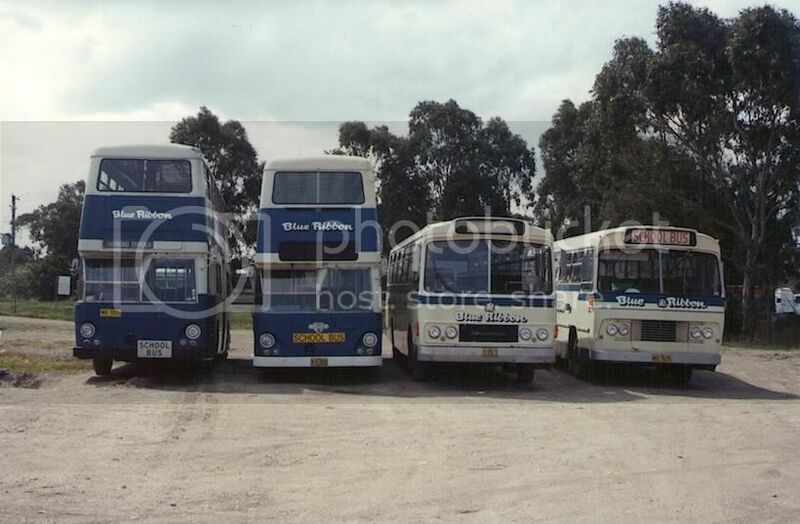 This is a historic listing of vehicles owned and operated by Blue Ribbon Coaches - Thornton fleetlist as at 2/00. The late Amos Fogg founded Fogg�s Motor Service in the early-1920s. Amos had been a coal miner, working at the Central Caledonian pit in Cessnock until rendered paraplegic by a coal mining incident. He left the mining industry as a young man in a wheelchair, recently married to Florrie, with whom he was expecting a first child. Assisted by his wife and brothers Owen, Roy and Sid, he began to provide transport for miners and their families to the lakeside resort of Wangi Wangi and Port Stephens. The fleet gradually grew as new services commenced. Roy and Owen Fogg maintained and serviced the vehicles while Sid helped with driving and office administration. Later, Sid Fogg left the business and joined the Newcastle Government bus service. After a short period he returned to the family business to assist Amos in managing the company. Amos Fogg�s daughter Mavis married Stewart Mordue, introducing a new generation of the family into the company. Stewart later became Managing Director of the company. - Atlantic Agency and Atlantic Industries at Maitland and Wangi Wangi. The family was also the major shareholder in Rover Motors at Cessnock and Kurri Kurri Bus Company, both in partnership with Rab Lewis and George Ryder), and Linsley Brothers at Wallsend (in partnership with the Linsley Brothers). 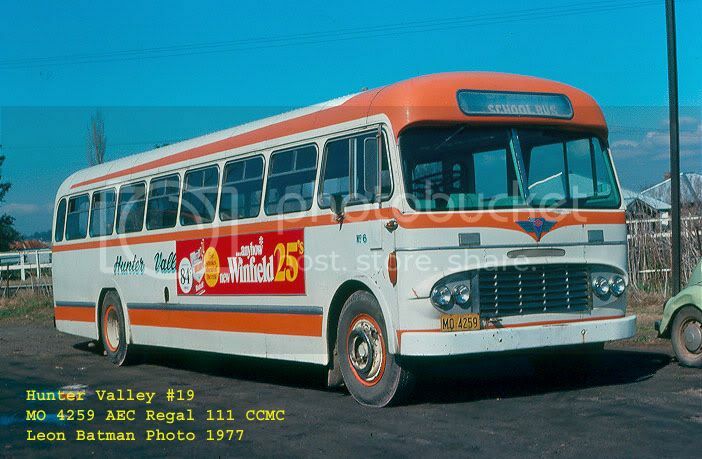 After Amos� death, Sid Fogg became Managing Director until he left the family busines to take ownership of the Stockton and Nelson Bay bus operations. Toronto Bus Company and Linsley Brothers were disposed of during this era too, to Robert Hertogs and the Linsley brothers, respectively. Florrie Fogg took control of the business after Sid�s departure, managing the business until her death in 1966. She was succeeded by her son-in-law Stewart Mordue who acted as Managing Director until 1972 when Mavis Mordue took control. After a 40-year partnership, the Amos Fogg family and Lewis family terminated their shared interests in Hunter Valley Coaches and Rover Motors in 1986. The Rab Lewis interests withdrew to Rover Motors, Cessnock, while the Mordue family took over 100% share holding in Hunter Valley Coaches. 1. 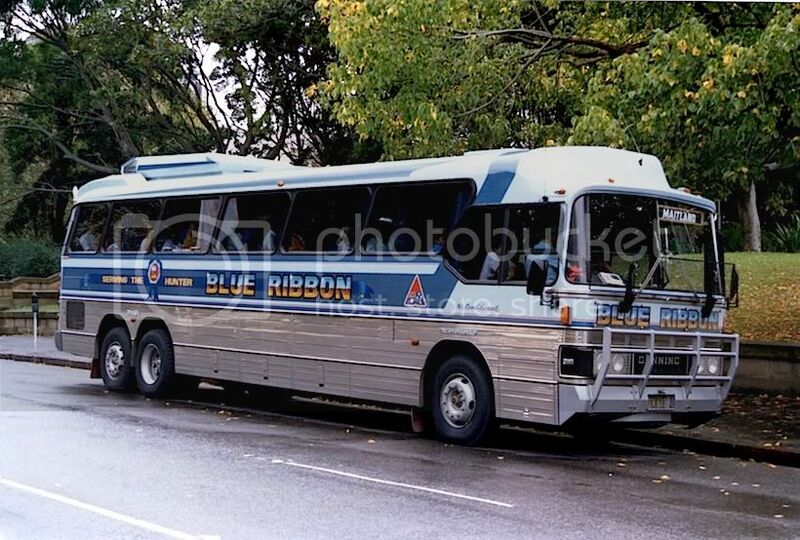 Blue Ribbon Coaches (Newcastle) Pty Ltd: around 20 vehicles based at South Wallsend operating the Cardiff-Mayfield and Heavy Industries, Wallsend - Minmi and Wallsend - Heavy Industries routes, some of which were purchased off Linsley Brothers of Wallsend in October 1986, as well as the charter operations recently acquired from Jaye�s Coaches. 2. 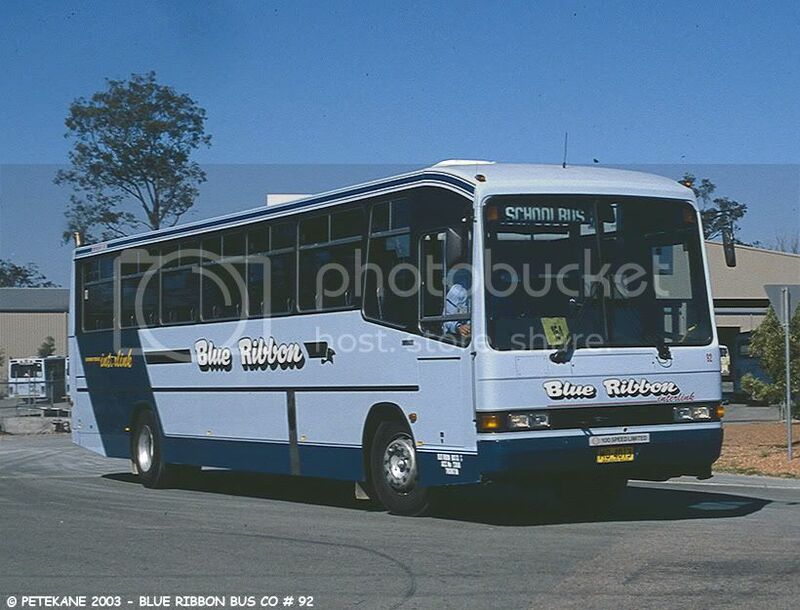 Blue Ribbon Coaches (Raymond Terrace) Pty Ltd: around 30 vehicles based at Raymond Terrace operating the Raymond Terrace - Newcastle and the Beresfield - Newcastle routes as well as the Stroud Road - Gloucester school run. 3. 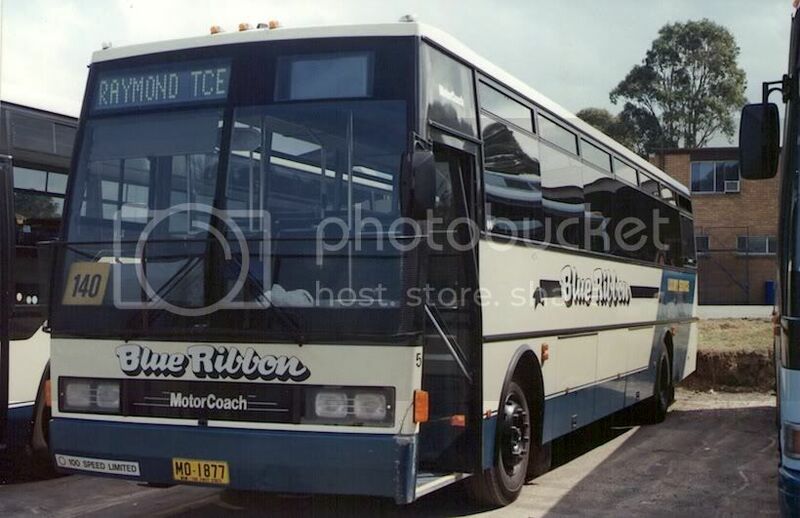 Blue Ribbon Coaches (Hunter Valley) Pty Ltd: around 40 vehicles based at Maitland operating East Maitland - West Maitland, Maitland - Gresford, Maitland - Clarence Town and Maitland - Branxton services. Mrs Mavis Mordue, daughter of the original proprietor Amos Fogg, acted as Managing Director for all three companies and her son, Amos Mordue, served as Group Development Manager. Terry Jenner, Jack Purcell and Sam Simpson were appointed as managers of the three companies at Newcastle, Raymond Terrace and Maitland, respectively. Glen Mordue was assistant manager at Raymond Terrace. A central office was established at Raymond Terrace to handle all financial and administrative affairs for the three operating companies and the group. The Maitland depot underwent refurbishment at a cost of $260,000, which included a new inspection pit, workshop, bus washer and bulk oil installation, as well as renovated offices and staff amenities. 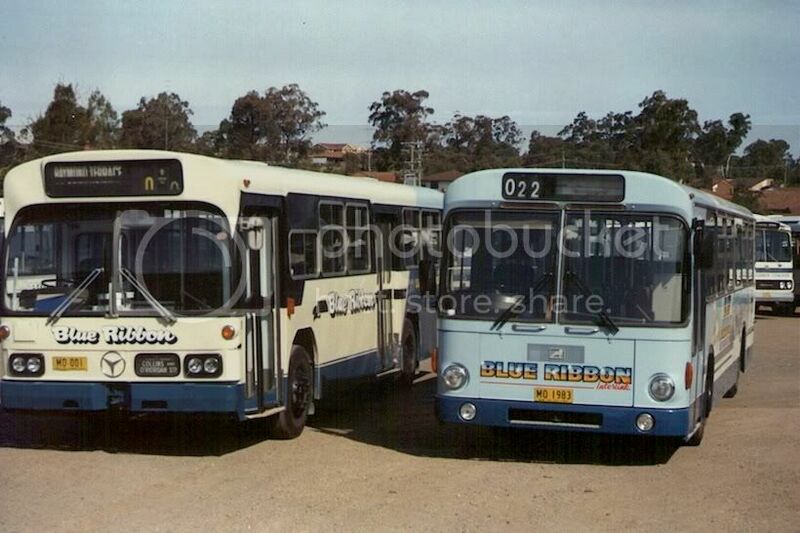 The orange and scream livery of Hunter Valley Coaches was replaced by a new livery of blue and ivory, of which most vehicles were repainted into by 1990. Further additions to the group included Fellowes' services in the Swansea area in October 1989 and Singleton Bus Service on 1 March 1992. 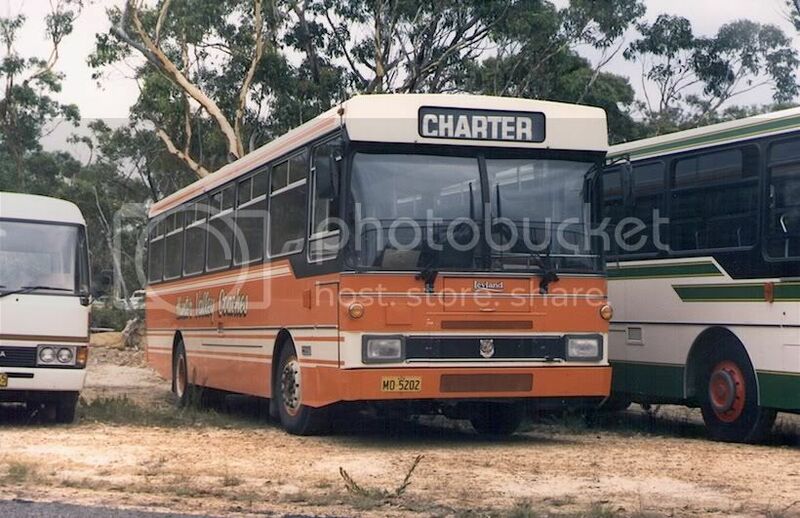 The school and route services of Sid Fogg & Sons Pty Ltd between Stockton, Raymond Terrace and Newcastle were taken over on 21 December 1993. Branxton Bus Service, a small operator with two school runs, was taken over from J & K Slusarski by February 1993 with MO 1672 & MO 7889. 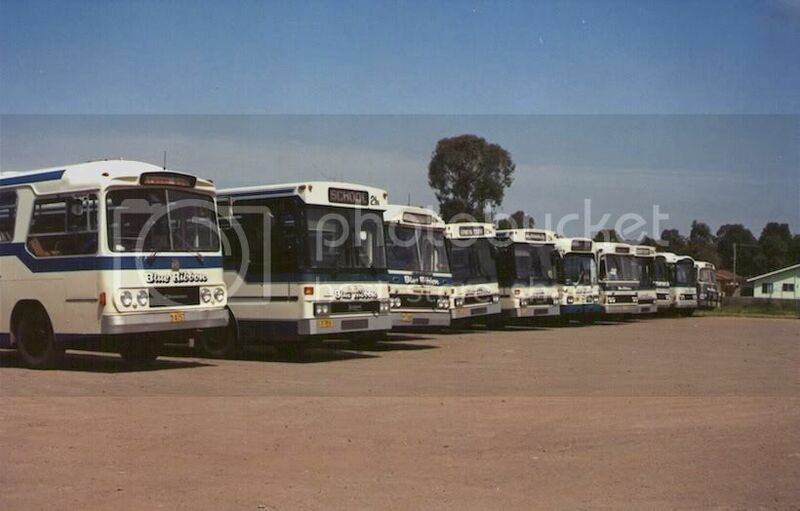 The majority of tourist vehicles were sold to Sid Fogg & Sons Pty Ltd, Newcastle by March 1994 with seven coaches: 4x Dennings, 2x MCAs and an Austral. A number of TV plated coaches were retained, primarily to service the Maitland - Sydney daily service that had commenced in 1989. 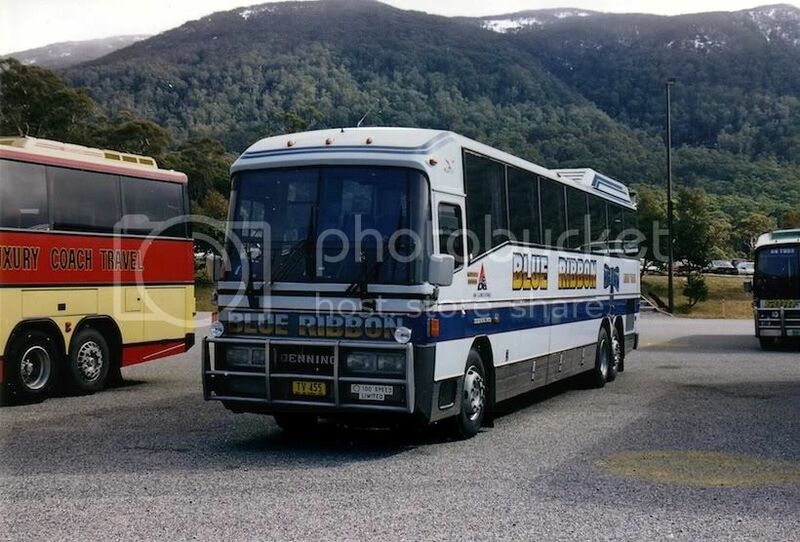 Two brand-new Volvo B10Ms with Z5 5HP 500 automatic transmissions and Volgren bodywork were delivered early-1996 to provide an �up market� service on the Raymond Terrace to Sydney route. These coaches were well appointed with generous legroom, toilet facilities and a gallery with hot drink dispenser and microwave. Each sported a new livery consisting of the traditional Blue Ribbon colours in an updated format. A large number of second hand vehicles were purchased during the 1990s to replace the ageing fleet. These included a large number of Bedfords, Leyland Leopards and several ex STA Mercedes-Benz O305s and ex ACTION, Canberra MAN SL200s. 4x 13.5m Mercedes-Benz OH1621s with ABM �Starliner� bodywork seating 80 (3x2 seats). The depot at Thornton had been opened by January 2000, replacing the old Hunter Valley Coaches depot in High Street Maitland. Most Raymond Terrace vehicles were transferred to Thornton, although the depot remained in use during 2000. 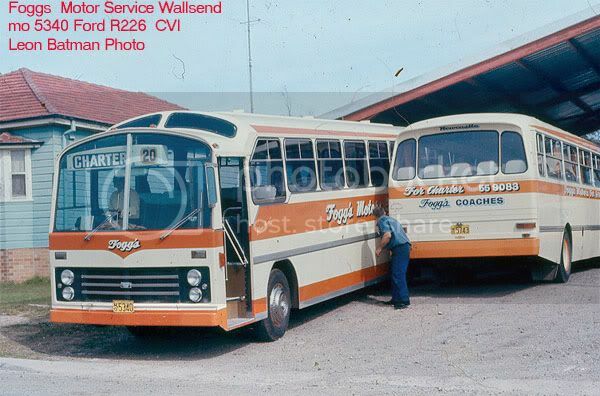 The Wallsend had closed by the mid-1990s, with some vehicles used on school contracts in the Newcastle area kept at Sugar Valley's depot in Edgeworth. The use of Sugar Valley's depot ceased after the opening of Thornton, although these services would again be operated out of the Edgeworth depot once Sugar Valley and Blue Ribbon were under common ownership by the CDC Group. Blue Ribbon Holdings Pty Ltd sold out to the National Express Group (originating from the UK) in February 2000 to form Blue Ribbon Bus Co. Pty Ltd. A consortium consisting of Cabcharge Australia and Singapore-based passenger land transport company ComfortDelGro (CDC Group) took over the National Express Group's failed interests in New South Wales at the end of September 2005. 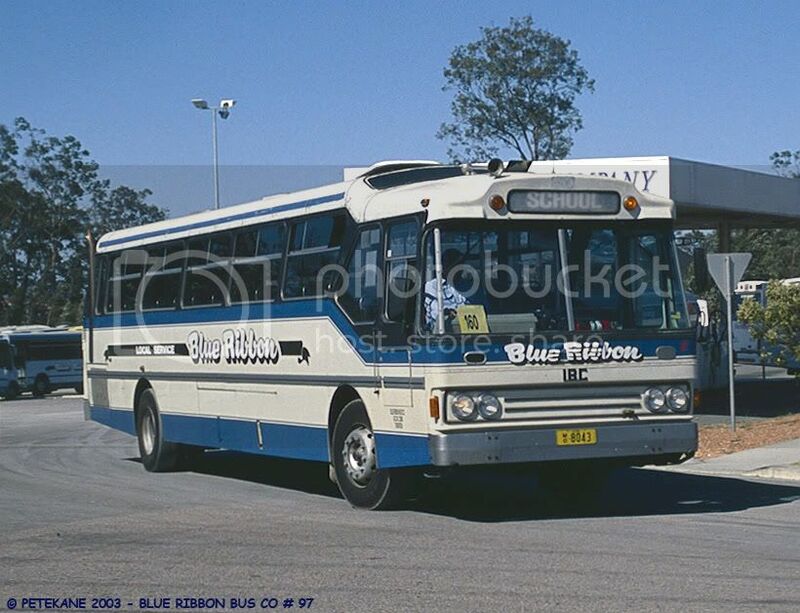 Blue Ribbon became Hunter Valley Buses Pty Ltd and the Toronto Bus Service Group (Toronto, Sugar Valley & Morisset) were added to the group on 1 August 2007. Acknowledgments: Historical information compiled by Ben Ogle. Sources include the BCA Bulletin, Truck & Bus Transportation Magazine and Fleetline Magazine.